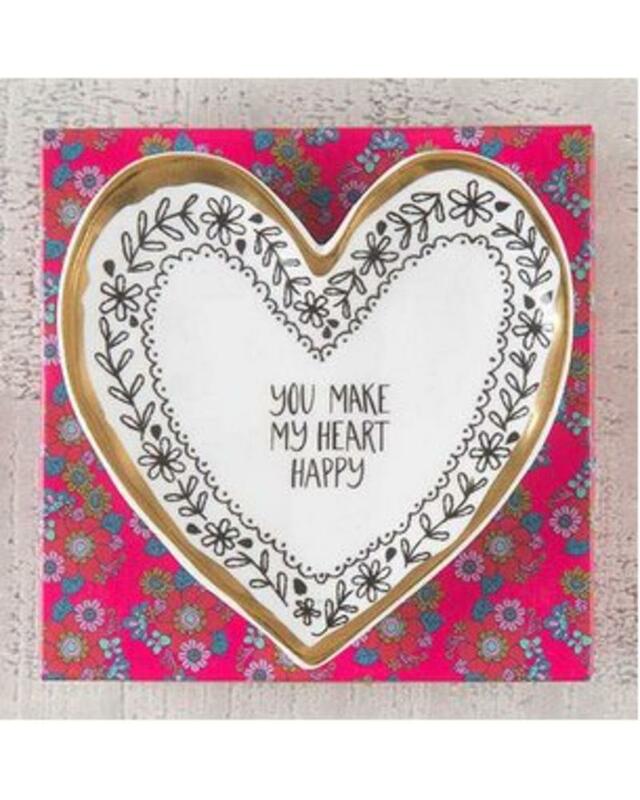 Store your favorite little treasures in this heart-shaped calypso trinket dish! 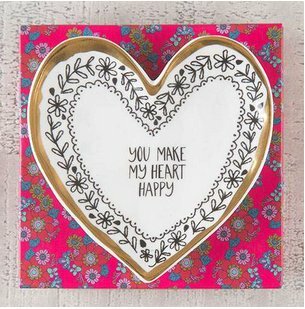 It features a gold-rimmed edge, a ready-to-give original art box and the sweet sentiment "You make my heart happy". Perfect for gifting to friends and family!